With the mobile world, people have come to expect instant-on, always connected devices. First it was smartphones, and then tablets based off of mobile operating systems which offered the ability to have the device in a deep sleep state, but still able to connect out to various services for notifications and app events. With Windows 8, Microsoft brought this same always-on model to devices running Windows. It was a big change from the traditional ACPI Sleep states of S3 (Sleep) and S4 (Hibernate) which power down most of the system. Initially Connected Standby was only available on ARM based devices, but shortly after the launch of Windows 8 in October 2012, Clover Trail based tablets began to emerge which also supported this new sleep state. Connected Standby provides one big change over the traditional sleep and hibernate modes – it keeps networking devices powered on in a low power mode and allows apps and services to run in a restrained mode in order to run background tasks and process push notifications. Clover Trail was a 32 bit CPU, so it wasn’t surprising that Connected Standby was limited to 32 bit installs of Windows, but since that launch a lot has happened in the x86 CPU landscape. First came Haswell, with a better efficiency than Ivy Bridge which it replaced, but more importantly for the tablet market, Bay Trail was launched. This was a big step up in performance for the Atom line, and Bay Trail is a 64 bit CPU. All tablets launched with Bay Trail came with a 32 bit install of Windows to enable Connected Standby. The 64 bit support was not there for any platform – Haswell or Bay Trail – and it has been a reason to hold tablets back with the 32 bit version of Windows. Core silicon / SoC must be capable of low-power idle. Windows 8.1 includes the PEP for Intel-based platforms. Today, we can confirm that Connected Standby is now available in 64 bit installs of Windows 8.1. 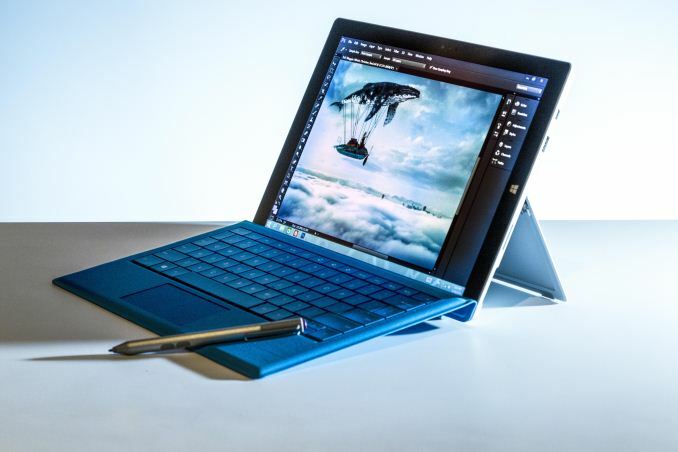 Anand has confirmed that it is working in the new Surface Pro 3, and Intel has also confirmed to us that the drivers and firmware are complete to allow Connected Standby on Bay Trail-T processors. There has been some questions about the lack of support with some tablets such as the Lenovo ThinkPad 10 now offering a 64 bit install option, but assuming Lenovo has added all of the required pieces for Connected Standby, it should be available. The final result is still dependent on the OEM to choose the correct pieces, and ensure all necessary flags are set. Intel has confirmed that the HP ElitePad 1000 G2 is running Bay Trail-T x64 and has Connected Standby enabled. With these developments, Intel based tablets can now offer the instant-on capabilities of smartphones, even with the 64 bit OS. AMD currently has no plans to support Connected Standby. Of course they are suspended. They must be updated to take advantage of connected standby, and not even sure if Win32 is compatible with it.